With the rising consumer awareness regarding health and wellness, the need for companies to adapt to changing consumer demand is stronger than ever. Consumers are looking for products with less sugar and more real ingredients rather than flavoured ones. As a result, this long – established sector is going through a much required evolution – the world’s biggest confectioners are looking for ways to fit into the health consumers’ idea of healthy consumption and keep them coming back for more. Big names like Mondelez and Cadbury have adapted to this new wave of consumer demand and have acted swiftly by promising to cut sugar from their products. The latest to join the bandwagon is Italian confectioner, Ferrero. It all started with its acquisition of Nestle’s iconic confectionery portfolio in January, 2018. What’s interesting is that the reason why Nestle sold off its candy brands to Ferrero is to refocus towards Health and Wellness product categories like water and nutritious snacks. 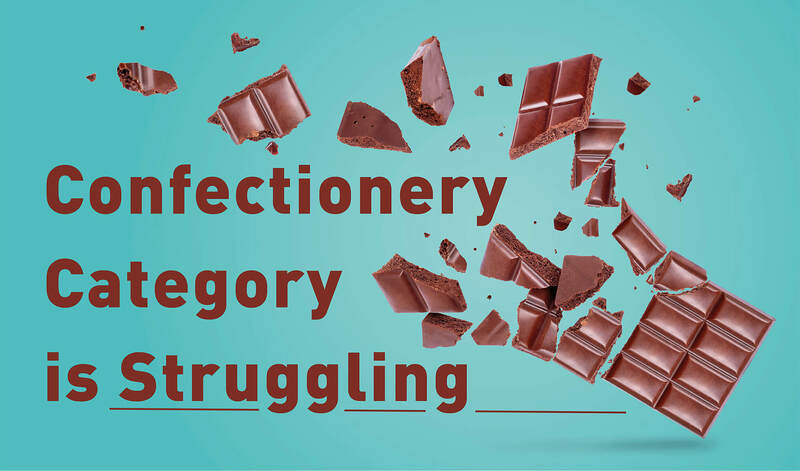 When a leading global confectionery brands sells its confectionery businesses to focus on healthier categories, it speaks volumes about which way the wind is blowing as far as consumer expectation goes. Coming back to Ferrero – as its sweet deal with Nestle completes a year, the company is all set to revamp its prized acquisition, Butterfinger by eliminating artificial preservatives such as TBHQ and hydrogenated oils. Further, the new Butterfingers will include a higher percentage of cocoa in the chocolate coating as well as a more “real milk” flavour profile, to appease consumers looking for better quality and real ingredients. Kristen Mandel, senior director of marketing at Ferrero (an affiliate of the Ferrero Group) says, “We felt that with some attention to product improvement and increased investment the brand could successfully return to a true leadership position in the category”. While Ferrero’s efforts towards re-launching Butterfinger to make it a more healthy candy are appreciated, there is still a big question mark about its iconic product, Nutella and the use of Palm Oil in it as a principal ingredient. While worldwide, the detrimental effects of palm oil have created a storm, Ferrero continues to justify its use in the production of Nutella, much to the advantage of its competitors such as the Spanish chocolate cream Nocilla. While Ferrero continues it struggle to stay “original”, Nocilla has gone one step ahead and eliminated Palm Oil from its recipe all together, winning over the hearts and market shares of evolved consumers. Perhaps, Ferrero needs to work harder at embracing the changer consumer preferences and ride the wave of healthy foods while there is still a seat. As we see it, the question no more remains, “To be or not to be”!